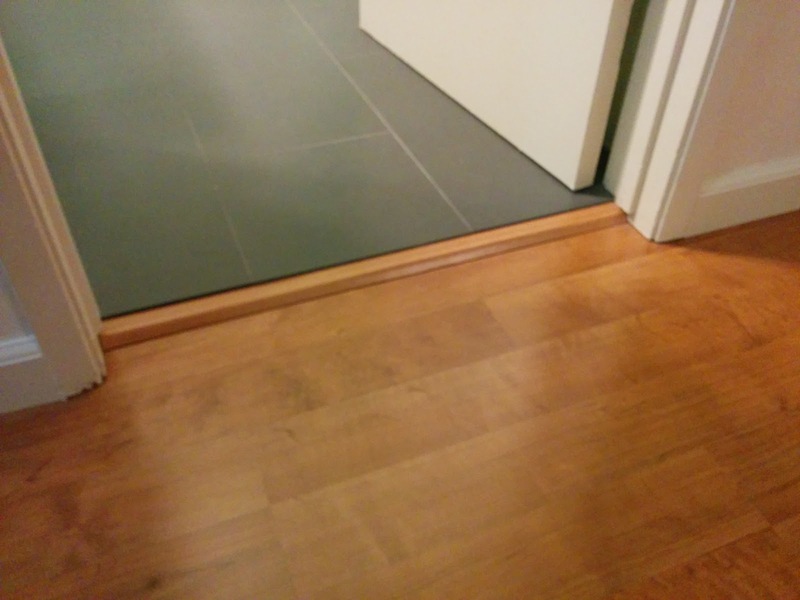 Fitting in the last board under the door jambs to the bath room was ... worthy of colorful language. So many angles to worry about and nothing wanted to fit together. 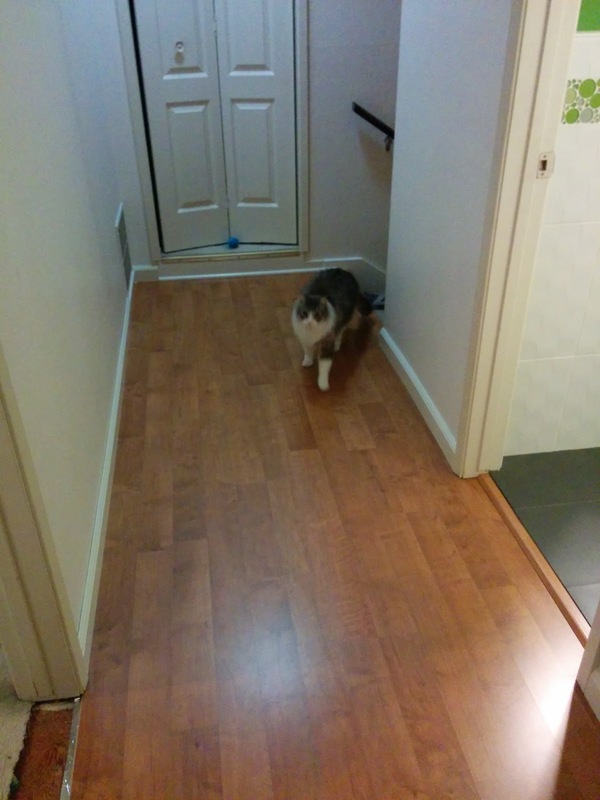 The transition piece doesn't quite reach to the level of the bathroom tile floor by about 1/8th inch. Otherwise, I'm quite happy with how this part came out in the end. The dreaded stair nose transition wasn't quite as awful as I feared. I cut the last row of boards at the top of the stairs only twice. 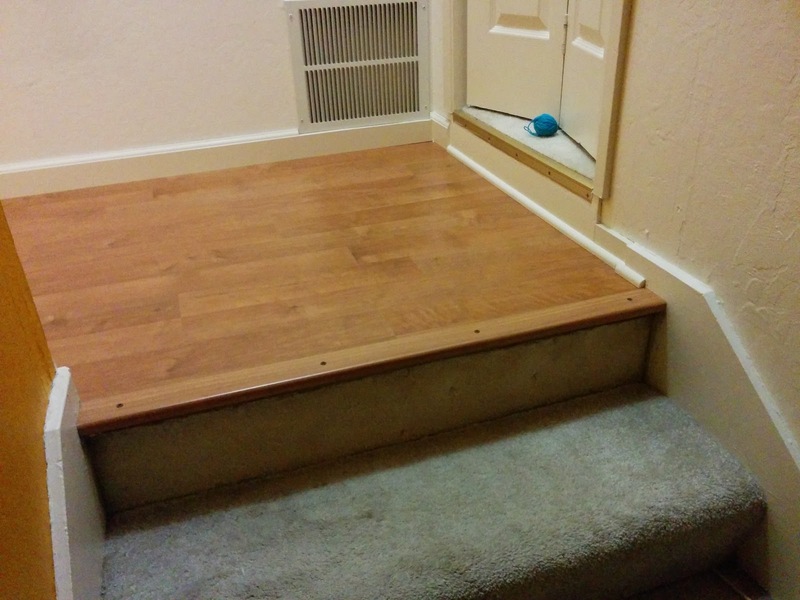 I should have spaced the screws evenly across the stair nose. Yeah, you can't tell that the gap between screws 1 and 2 matches the gap between screw 3 and 4. Your eye is offended by the fact that the center gap is smaller than the gaps to the left and right. This bugs me, but I'll redo it only if I can't get the (still missing) carpet transition properly attached. One bed room left to do.